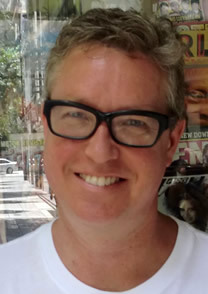 Ian Condry is a cultural anthropologist and associate professor of Comparative Media Studies at MIT. His new book, The Soul of Anime: Collaborative Creativity and Japan's Media Success Story, was published in January 2013 (Duke University Press). He has done fieldwork research in Tokyo's anime studios, including interviews with creators, merchandisers and fans. As in his first book, Hip-Hop Japan: Rap and the Paths of Cultural Globalization (2006), the anime book explores questions of "globalization from below," that is, how cultural movements go global without the push of major corporations. He is also the founder and organizer of the MIT/Harvard Cool Japan research project (mitcooljapan.com). He is currently Chair of the Foreign Languages and Literatures department at MIT as well.